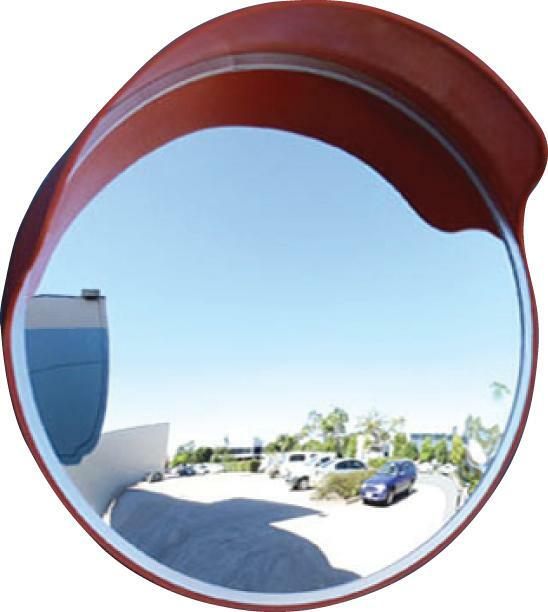 Heavy duty Convex Mirror with a weatherproof, highly visible visor and edge shield is ideal for parking garages, car parks, driveways, warehouses and other high traffic areas. Convex Mirrors offer a wide viewing angle and increases visibility for pedestrians, drivers and machinery operators around blind and semi-blind corners. 450mm Diameter / Acrylic / supplied with Heavy Duty Bracket and screws.